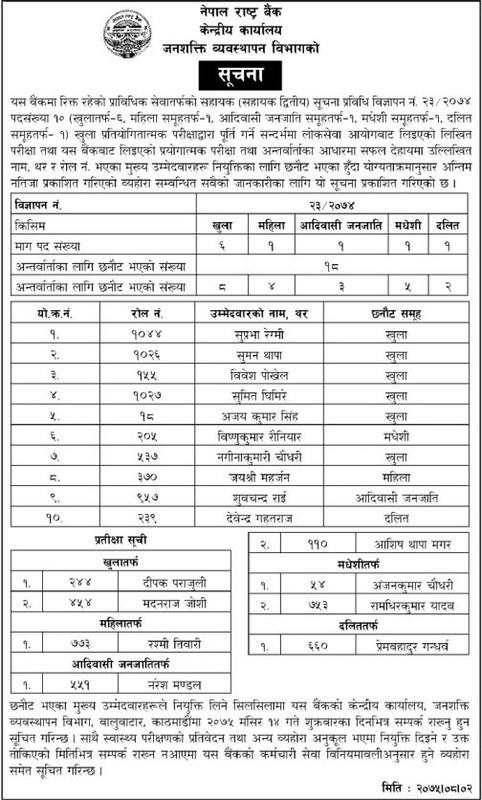 Nepal Rastra Bank published the result of Assistant 2nd IT, Advertising No. 23/2074 and for total 10 posts. Here we listed the complete selected Assistant 2nd IT candidates. Written exam was taken by Lok Sewa Aayog, practical and interview was held by Nepal Rastra Bank. Check Nepal Rastra Bank Final Result of Assistant 2nd IT below.